Kanye West was seen out in public for the first time since his hospitalization as he attends an art exhibit in Los Angeles. The rapper sported dyed blond hair and looked relaxed in the photo, which was posted to Instagram by artist Giovanni Bassan Thursday, December 8. 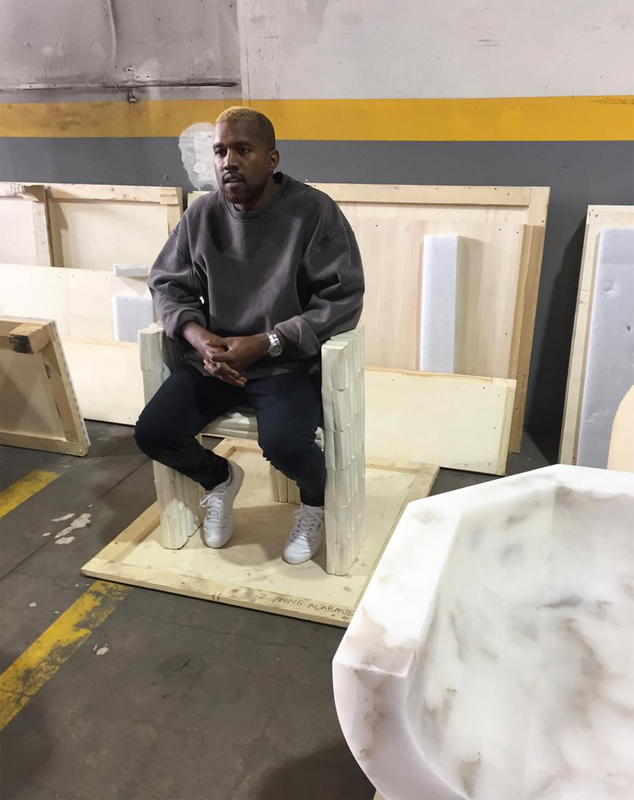 “K s in da house,” Bassan captioned the pic, which showed the 39-year-old “Fade” musician sitting with hands clasped in front of him while appearing to be backstage at MOCA&apos;s Pacific Design Center.